Yue C, Wei R, Liu Y. Perioperative systemic steroid for rapid recovery in total knee and hip arthroplasty: a systematic review and metaanalysis of randomized trials. J Orthop Surg Res. 2017. Jun 27;12(1):100. doi: 10.1186/s1301801706014. Edwards PK, Kee JR, Mears SC, Barnes CL. Is rapid recovery hip and knee replacements possible and safe in the octogenarian patient? J Arthroplasty. 2018 Feb;33(2):316319. doi: 10.1016/j.arth.2017.09.060. Epub 2017†Oct 6. Klein GR, Posner JM, Levine HB, Hartzband MA . Same day total hip arthroplasty performed at an ambulatory surgical senter: 90 day. Complication rate on 549 patients. J Arthroplasty. 2017 Apr;32(4):11031106. doi: 10.1016/j.arth.2016.10.013. Epub 2016 Oct 20. Falck-Ytter Y, Francis CW, Johanson NA, et al. Prevention of VTE in orthopedic surgery patients: antithrombotic therapy and prevention of thrombosis, 9th edn: American College of Chest Physicians evidence based clinical practice guidelines. Chest 2012; 141 (Suppl 2):e278S– e325S. doi: 10.1378/chest.11-2404. Jenny JY, Pabinger I, Samama CM; ESA VTE Guidelines Task Force. European guidelines on perioperative venous thromboembolism prophylaxis: Aspirin. Eur J Anaesthesiol. 2018 Feb;35(2):123-9. doi: 10.1097/EJA.0000000000000728. Intermountain Joint Replacement Center Writing Committee. A prospective comparison of warfarin to aspirin for thromboprophylaxis in total hip and total knee arthroplasty. 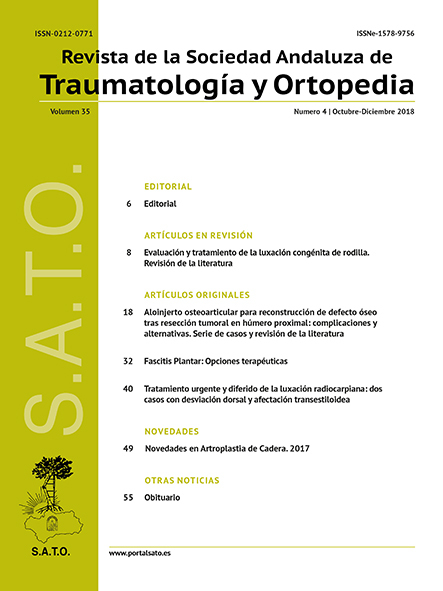 J Arthroplasty 2012; 27:1–9. doi:10.1016/j.arth.2011.03.032. Anderson DR, Dunbar MJ, Bohm ER, et al. Aspirin versus low-molecular weight heparin for extended venous thromboembolism prophylaxis after total hip arthroplasty: a randomized trial. Ann Int Med 2013; 158:800–6. doi: 10.7326/0003-4819-158-11-201306040-00004. Husted H, Otte KS, Kristensen BB, Ørsnes T, Wong C, Kehlet H.Low risk of thromboembolic complications after fast-track hip and knee arthroplasty. Acta Orthop. 2010 Oct;81(5):599-605. doi: 10.3109/17453674.2010.525196. Wilson DG, Poole WE, Chauhan SK, Rogers BA. Systematic review of aspirin for thromboprophylaxis in modern elective total hip and knee arthroplasty. Bone Joint J. 2016 Aug;98-B(8):1056-61. doi: 10.1302/0301-620X.98B8.36957. Ju DG, Rajaee SS, Mirocha J, Lin CA, Moon CN. Nationwide analysis of femoral neck fractures in elderly patients: A receding tide. J Bone Joint Surg Am. 2017 Nov 15;99(22):1932-40. doi: 10.2106/JBJS.16.01247. Woon CYL, Moretti VM, Schwartz BE, Goldberg BA. Total hip arthroplasty and hemiarthroplasty: US national trends in the treatment of femoral neck fractures. Am J Orthop (Belle Mead NJ). 2017 Nov/Dec;46(6):E474-E478. Wang Z, Bhattacharyya T. Outcomes of hemiarthroplasty and total hip arthroplasty for femoral neck fracture: A Medicare cohort study. J Orthop Trauma. 2017 May;31(5):260-3. doi: 10.1097/BOT.0000000000000814. Sköldenberg O, Chammout G, Mukka S, Muren O, Nåsell H, Hedbeck CJ, Salemyr M. HOPE-trial: hemiarthroplasty compared to total hip arthroplasty for displaced femoral neck fractures in the elderly-elderly, a randomized controlled trial. BMC Musculoskelet Disord. 2015 Oct 19;16:307. doi: 10.1186/s12891-015-0763-3. Bhandari M, Devereaux PJ, Einhorn TA, et al. Hip fracture evaluation with alternatives of total hip arthroplasty versus hemiarthroplasty (HEALTH): protocol for a multicentre randomised trial. BMJ Open. 2015 Feb 13;5(2):e006263. doi: 10.1136/bmjopen-2014-006263. Tol MC, van den Bekerom MP, Sierevelt IN, Hilverdink EF, Raaymakers EL, Goslings JC. Hemiarthroplasty or total hip arthroplasty for the treatment of a displaced intracapsular fracture in active elderly patients: 12-year follow-up of randomised trial. Bone Joint J. 2017 Feb;99-B(2):250-4. doi: 10.1302/0301-620X.99B2.BJJ-2016-0479.R1.